pointed the way to communion and fellowship with God. There are professed Christians who do not see much of importance or value for them in the divinely appointed Temple services; yet the gospel plan of salvation as revealed more fully in the NT is made clearer by an understanding of the OT. In fact, he who understands the Levitical system as presented in the OT can much better understand and appreciate gospel as set forth in the NT. The one foreshadows the other and is a type of it. If the sacrificial system is well understood, it will enhance ones understanding of the cross of Christ and what He has done. In other words, the sacrificial system served as a type and foreshadowed the antitype — death of Christ. Every sacrifice in the OT pointed towards the Messiah. In the symbolic sanctuary services of ancient Israel, the sinner was to bring an animal sacrifice that was “without blemish” (Exod 12:5; 29:1; Lev 1:3, 10; 22:21). Every animal sacrificed represented Christ, “the lamb of God, which taketh away the sin of the world” (John 1:29). The animal sacrificed by the repentant Israelite was to be “without blemish,” or “perfect,” because it symbolized the spiritual perfection of Jesus Christ. Peter likened Christ to the lamb without blemish and without spot (1 Pet 1:19). None need fail of attaining, in his sphere, to perfection of Christian character. By the sacrifice of Christ, provision has been made for the believer to receive all things that pertain to life and godliness. God calls upon us to reach the standard of perfection and places before us the example of Christ’s character. In His humanity, perfected by a life of constant resistance of evil, the Saviour showed that through co-operation with Divinity, human beings may in this life attain to perfection of character. This is God’s assurance to us that we, too, may obtain complete victory. What promoted Christ to die is His love for mankind. He who has suffered has lived and he who has loved has lived, too. The two are inseparable. Thus, love involves sacrifice, and sacrifice often involves suffering. This kind of love is very crucial for love counts sacrifice a privilege. The second theme: our practical response to the knowledge that God will judge our actions at the last judgment. This theme places Christians to be true followers of Christ. The way one should “behave” and “live,” to be a “sermon in shoes” is critical because Peter links between man’s behavior and God’s judgment (1 Pet 1:17 and 2 Pet. 3:11). Thus, a man ought to be holy as God is holy. In the OT, the word for holy means to set aside, dedicated for holy use. This concept of setting something aside is called sanctification. Peter admonishes believers to live a holy life just as Christ is holy. The concept of holiness is not an abstract thing; holiness in Leviticus 11 is linked to dietary habits. Holiness, therefore, includes obedience to the laws of God that relate to the physical being. In Leviticus, if you want to be holy, don’t pass out a tract, love your neighbor as yourself; show hospitality to strangers and be a person of justice. Holiness is so essential thus the book of Hebrews says, “without holiness no once can see God” (Heb 12:14b). At every step of life the call to holiness confronts us: in the field, in the office, in the classroom, at home, in business, with friends, aliens and foreigners, in acts of worship, and in the family. Living in every instance in the judgment of God makes our life what it is. Living in the judgment of God is the creative power that makes us what we actually are. We do not make ourselves what we are; God’s judgment about us makes what we are, for the judgment of God works very differently from human judgment. . . . I am what God thinks about me. God’s judgment carries with it the immediate power of execution. God’s decree creates what it says. . . . If God decrees, ‘He is my beloved child,’ then that is what I really am, even when so much seems to speak against it. . . . God’s judgment about you and me creates the basic foundation of our existence. I live as I live in the judgment of God. I am what I am through the judgment of God. Any weight that I might place on the scale of my life produces only a superficial and temporary swing. But what God’s judgment brings into my life shifts the balance for all time and eternity. That is why the question of what God thinks of me is the most important of all questions. 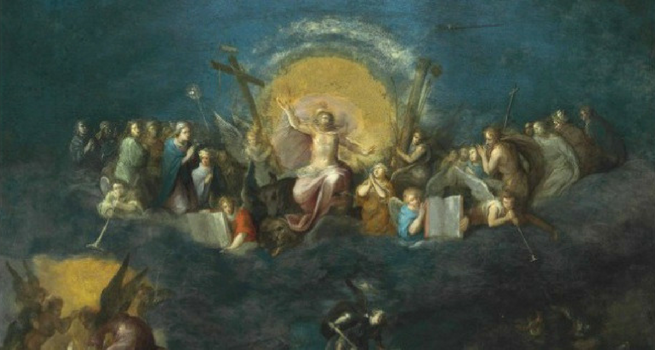 Jirí Moskala in his article, The Gospel According to God’s Judgment: Judgment as Salvation, where he discusses four phases, concludes his article on judgment saying, “Praise the Lord that God is our Judge!” Therefore, judgment should not be perceived negatively but rather positively. 1. The Prophets have already prophesied about His coming. 2. The Lord recommended it (Matt 24: 26-29; Mark 13: 35-37; Luke 12:40). 3. Recommended by the apostles and disciples (1 Tim 5: 2-4). The fourth theme, the order in society and in the church. While the apostle Peter lived in troublous times, one of his themes was: an order in the society and in the church. Learning the divine order in both the society and the church is of fundamental importance in the days in which we live. God’s order has been established at all levels: in societies, in civil circles, in marriage, at home, and in relationships. The fifth and last theme Peter addresses, the role Scripture has in providing guidance in our lives. Peter directs the false teacher and the readers today to the authority of the Scriptures when he said, “to recall the words spoken in the past by the holy prophets and the commandment of our Lord and Savior spoken‍ through your apostles” (2 Pet 3:2). The words “inspiration” and “inspired” are derived from the Latin and appeared in the Vulgate translation of 2 Timothy 3:16 and 2 Peter 1:21. Their basic meaning is to “breathe in.” In 2 Timothy 3:16, Paul affirms that all Scripture is theopneustos, or “breathed by God.” Benjamin Warfield concludes that “Scripture is called theopneustos in order to designate it as ‘God-breathed,’ the product of divine inspiration.” Thus, “the Scriptures owe their origin to an activity of God the Holy Ghost and are in the highest and truest sense His creation.” The authority of the Scripture is important, for “Scripture cannot be broken” (John 10:35). It is necessary consequences of our submission to the Lordship of Christ Jesus. The epistles of Peter place great emphasis on how Christians should treat each other. Apart from knowing the truth, believers should live the truth, too. Ellen G. White says, “Since you have purified your souls in obeying the truth through the Spirit in sincere love of the brethren, love one another fervently with a pure heart.” Truth is consistent with the heart, mind, and will, and being of God. Truth changes, it makes us a true people of God, and it helps us to love and to be loved. Francis Nichol, ed. Seventh-day Adventist Bible Commentary. Rev. ed. (Washington, DC: Review & Herald, 1976-1980), 1:711. Leo R. Van Dolson, RELT 255 Christian Beliefs Syllabus (Berrien Springs, MI, 1980), p.46. Ellen G. White. The Acts of the Apostles (Mountain View, CA: Pacific Press, 1911), 531. Nichol, ed. Seventh-day Adventist Bible Commentary, 1:721. Peter Brunner, “The Forgiveness of God and the Judgment of God,” Word & World 21, no. 3 (2001): 282. Jirí Moskala, “The Gospel According to God’s Judgment: Judgment as SalvationI,” Journal of the Adventist Theological Society 22/1 (2011): 28-49. Ellen G. White, Selected Messages (Washington, D.C.: Review and Herald, 1958), 2:373.